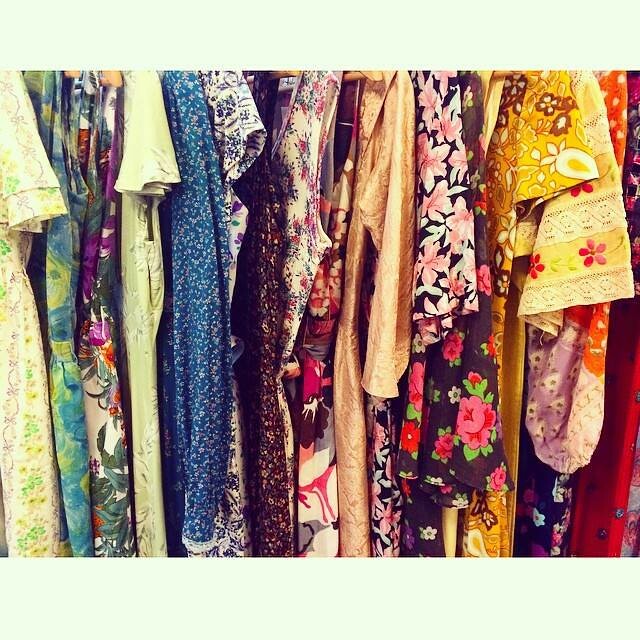 Lots and lots of lovely floral prints in the shop! 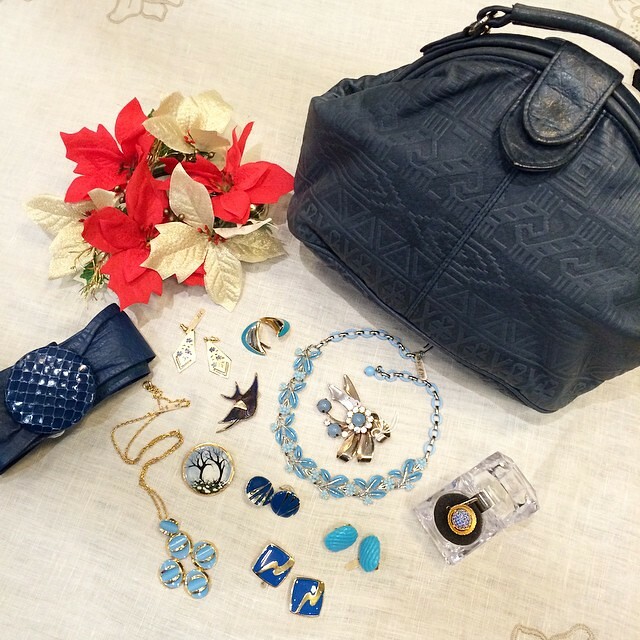 Last minute x’mas gift ideas for the gal who loves blue! All items available at Granny’s Day Out, Peninsula Shopping Centre. 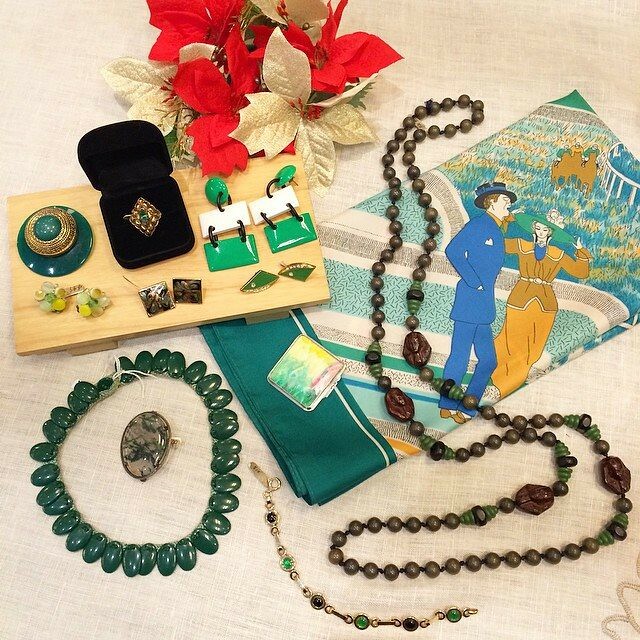 Last minute x’mas gift ideas for the gal who likes green! Last minute x’mas gift ideas for the gal who loves black! There’s only a week left to enjoy 25% OFF all jewellery so you better hurry! 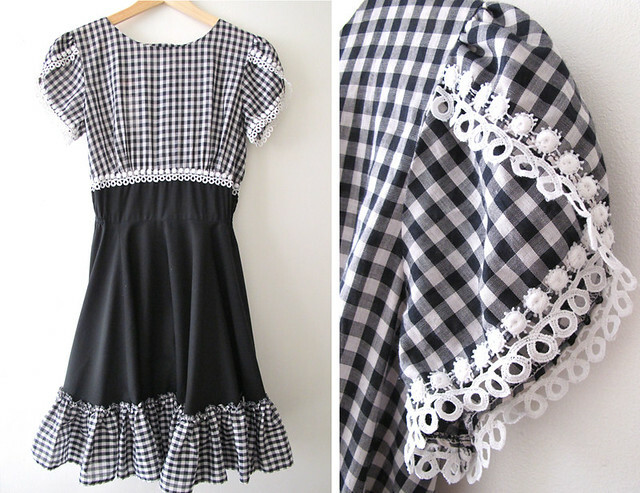 Cast a spell in these black and monochrome vintage pieces. One piece only. Available at Peninsula Shopping Centre. Ooh-la-la! 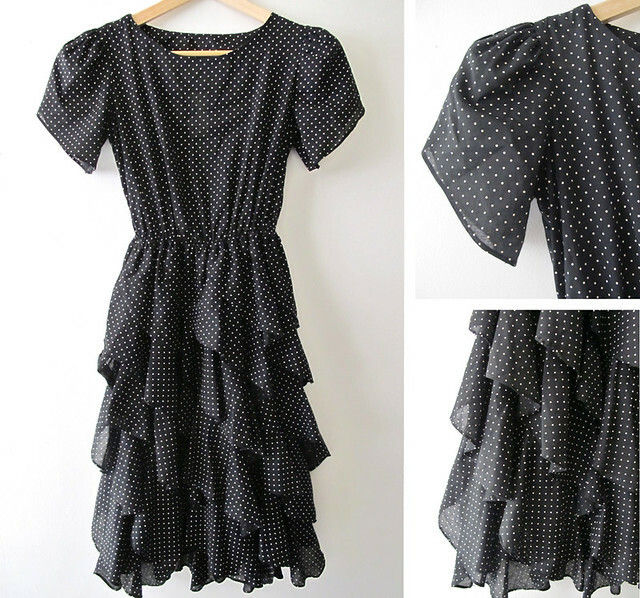 Check out the tiers on this adorable 1980s polka dot dress! 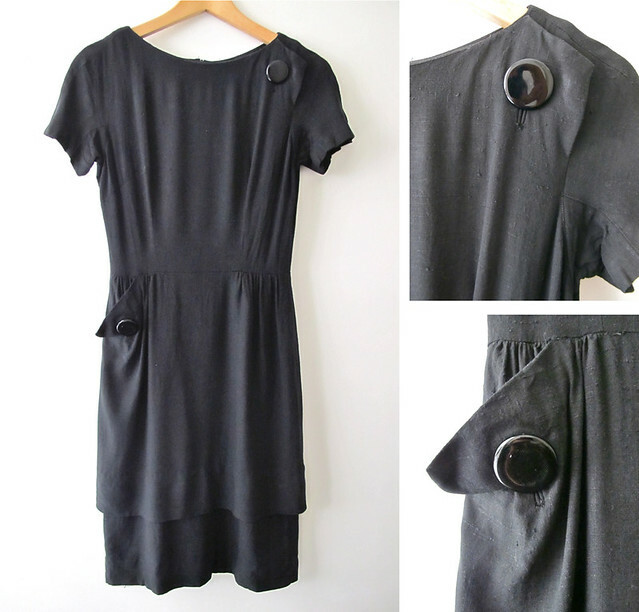 You can’t go wrong with this classic 1950s LBD! Super Darling 1960s black and white dress with lovely embroidery details on the sleeves and bodice. 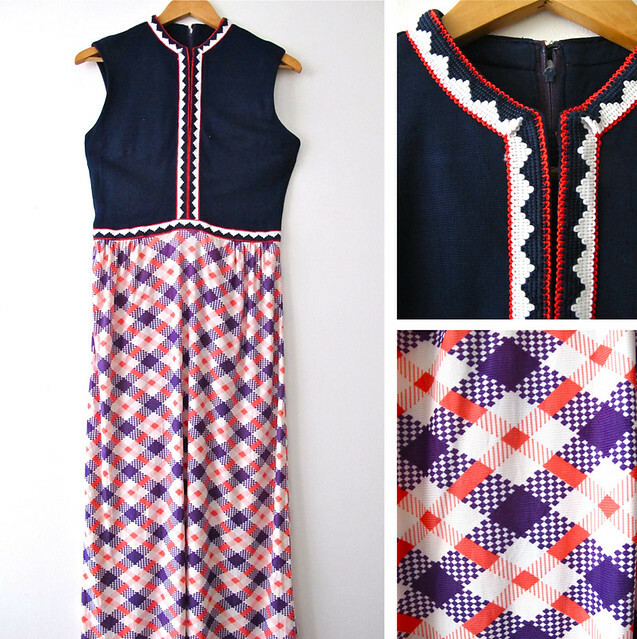 Stunning and fun1970s maxi with a checkered print skirt and a really interesting designed bodice. 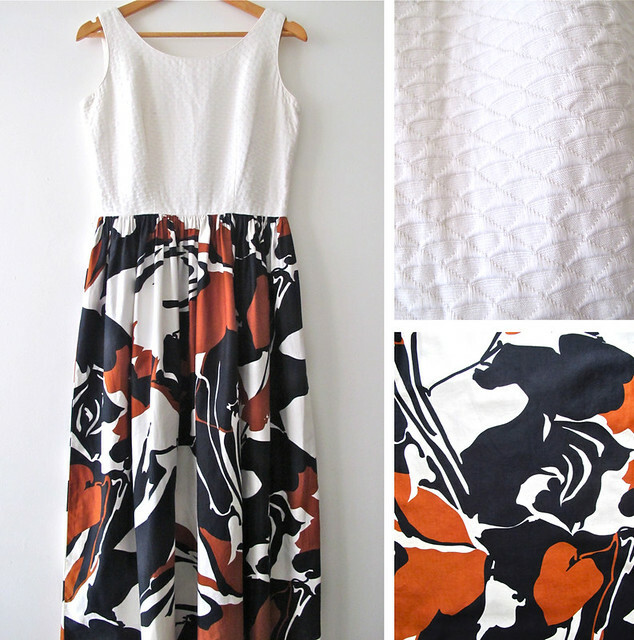 Fabulous 1960s Hawaiian made maxi with a textured white bodice and a bold print skirt. 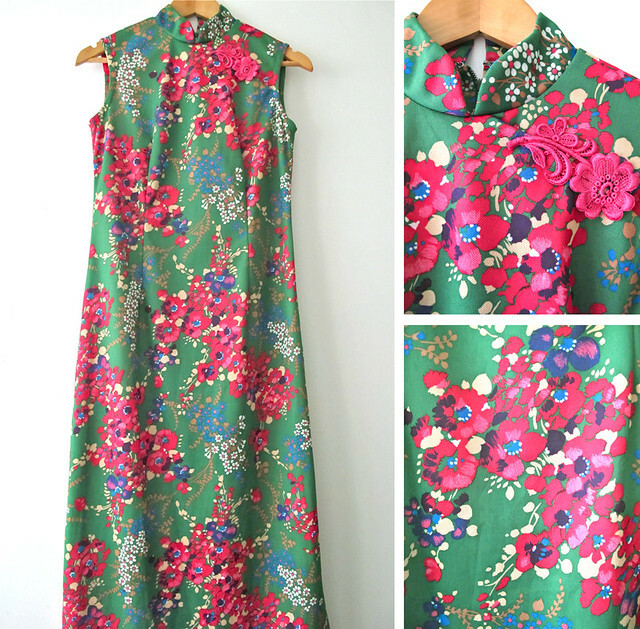 Bold pink florals fill this oriental inspired mandarin-collared 1970s maxi dress, it even comes attached with a sweet pink flower applique. This would also make a great short dress – imagine what you can do with all that excess fabric? We’re thinking tote bag, a scarf, or even a mini skirt! 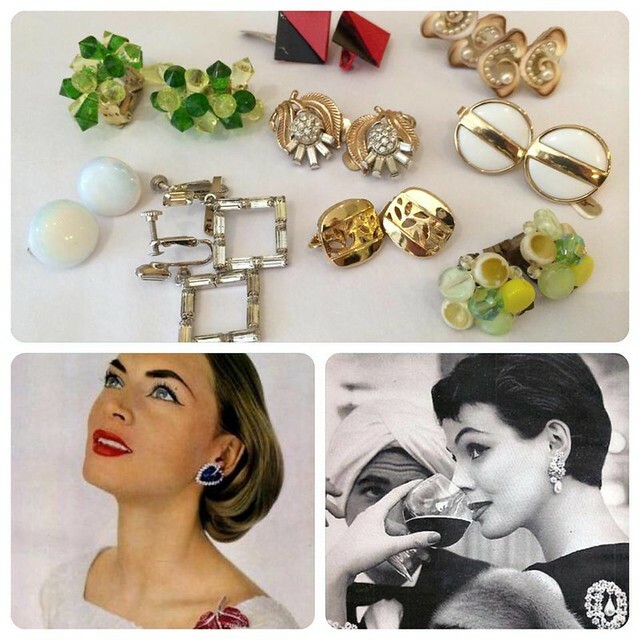 Ever wondered why sssooooo many earrings of the past are the clip-on/screw-back kind??? Well, pierced ears were considered uncouth and uncivilised in the early 20th century! Thus, a screw-back type of earring was invented, followed by clip-ons and screw-ons in the 1930s. Ear piercing only became a fad again in the 1970s!